Does your organization lack strong visuals for certain eras? Good news: It is possible to spin something out of nothing. Here are suggestions with examples from CorporateHistory.net’s experience, all guaranteed to pep up your social media feed, About Us pages, timeline display, presentation Powerpoints or corporate history publication. 1. Outside research. Our client Hastings, currently the largest US distributor of Marvin Windows and Doors, was founded in 1846. A great era for mechanical inventions, but no one was walking around with cameras. We scoured Boston archives and got lucky at the Bostonian Society, unearthing a picture from 1856 showing a shop run by the founder’s uncle. A. W. Hastings himself had to have visited this place as a boy. 2. Create what you need. 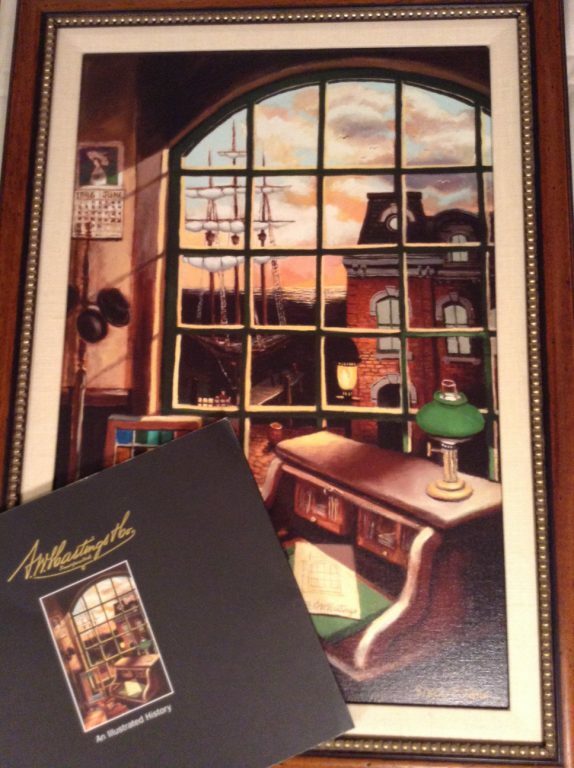 The painting by Chip Evans, shown on the book cover, is an imaginary depiction of the Hastings office in the era of clipper ships. The present-day company reused it for notecards and big, beautiful framed reproductions given as gifts to distributors. 3. Reach out to retirees. Another client, the American arm of Sandvik, also came up short on visuals at first. We put out a call to employees – Calling All Pack Rats! – and struck gold. 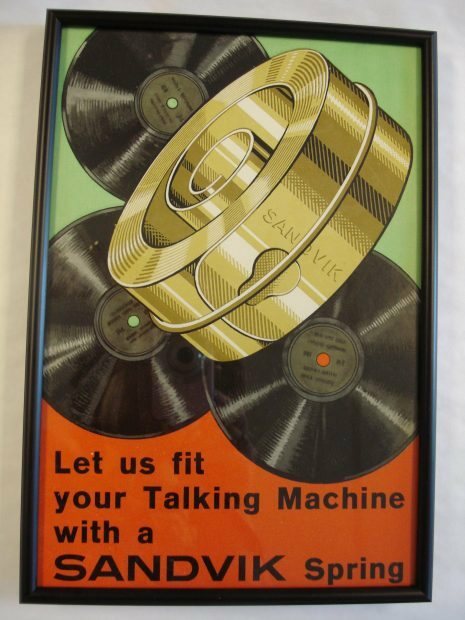 One retiree had a veritable museum in his basement, including gorgeous posters like this one. 4. Dig into old documents. CorporateHistory.net also did the detective work of paging through hundreds of Sandvik newsletters and annuals for scannable images. They needed doctoring, but Adobe Photoshop and similar programs have made this a lot easier than it used to be. Old pictures shouldn’t be perfect anyhow; they should look real. Take heart. Visuals from the pre-digital era do exist. Unearth them to add authenticity to your corporate storytelling.